Bohacova, V., Zamocky, M., Godocikova, J., Buckova, M., Polek, B. 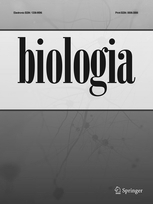 The expression and diversity of catalases in isolates of genus Comamonas in response to the oxidative stress of a polluted environment. Brezna, B., Kweon, O., Stingley, R.L., Freeman, J.P., Khan, A.A., Polek, B., Jones, R.C., Cerniglia, C.E. Molecular characterization of cytochrome P450 genes in the polycyclic aromatic hydrocarbon degrading Mycobacterium vanbaalenii PYR-1. Bukovska, G., Klucar, L., Vlcek, C., Adamovic, J., Turna, J., Timko, J. Complete nucleotide sequence and genome analysis of bacteriophage BFK20 - A lytic phage of the industrial producer Brevibacterium flavum. Chotar, M., Vidova, B., Godany, A. Development of specific and rapid detection of bacterial pathogens in dairy products by PCR . Cipakova, I., Gasperik, J., Hostinova, E.
Expression and purification of human antimicrobial peptide, dermcidin, in Escherichia coli. Ghorbel, S., Smirnov, A., Chouayekh, H., Sperandio, B., Esnault, C., Kormanec, J., Virolle, M.J.
Regulation of ppk expression and in vivo function of Ppk in Streptomyces lividans TK24. Ghorbel, S., Kormanec, J., Artus, A., Virolle, M.J.
Transcriptional studies and regulatory interactions between the phoR/phoP operon and the phoU, mtpA and ppk genes of Streptomyces lividans TK24. Harichova, J., Karelova, E., Chovanova, K., Stojnev, T., Proksova, M., Brindza, J., Brindza, P., Toth, D., Pangallo, D., Ferianc, P.
Comparison of culturable Gram-negative bacterial community structures in the rhizosphere of three fruit plants. Horvathova, V., Godany, A., Sturdik, E., Janecek, S.
Alpha-amylase from Thermococcus hydrothermalis: re-cloning aimed at the improved expression and hydrolysis of corn starch. Krascenicsova, K., Kaclikova, E., Pangallo, D., Siekel, P., Girotti, S., Kuchta, T.
Detection of Salmonella enterica in food on the next day after the sample collection using 5‘-nuclease polymerase chain reaction with end-point fluorimetry. Majtan, V., Majtan, T., Majtan, J., Szaboova, M., Majtanova, L.
Salmonella enterica Serovar Kentucky: Antimicrobial Resistance and Molecular Analysis of Clinical Isolates from Slovak Republic. Majtan, J., Kovacova, E., Bilikova, K., Simuth, J. The immunostimulatory effect of the recombinant apalbimin1 - major honeybee royal jelly protein on TNFalpha release. From estrogens via alkaloids to enzymes. Mazurakova, V., Sevcikova, B., Rezuchova, B., Kormanec, J.
Cascade of sigma factors in streptomycetes: identification of a new extracytoplasmic function sigma factor sigmaJ that is under the control of the stress-response sigma factor sigmaH in Streptomyces coelicolor A3(2). Mislovicova, D., Masarova, J., Hostinova, E., Gasperik, J., Gemeiner, P.
Modulation of biorecognition of glucoamylases with Concanavalin A by glycosylation via recombinant expression. Nakamura, T., Zamocky, M., Zdrahal, Z., Chaloupkova, R., Monincova, M., Prokop, Z., Nagata, Y., Damborsky, J. Expression of glycosylated haloalkane dehalogenase LinB in Pichia pastoris. Olexova, L., Dovicovicova, L., Svec, M., Siekel, P., Kuchta, T.
Detection of gluten-containing cereals in flours and "gluten-free" bakery products by polymerase chain reaction. Oravcova, K., Kaclikova, E., Krascenicsova, K., Pangallo, D., Brezna, B., Siekel, P., Kuchta, T.
Detection and quantification of Listeria monocytogenes by 5'-nuclease polymerase chain reaction targeting the actA gene. Rowley, G., Spector, M., Kormanec, J., Roberts, M.
Pushing the envelope: extracytoplasmic stress responses in bacterial pathogens. Structure of the complex of a yeast glucoamylase with acarbose reveals the presence of a raw starch binding site on catalytic domain. Skovierova, H., Rowley, G., Rezuchova, B., Homerova, D., Lewis, C., Roberts, M., Kormanec, J. Identification of the sigmaE regulon of Salmonella enterica serovar Typhimurium. Skovierova, H., Rezuchova, B., Homerova, D., Roberts, M., Kormanec, J. Characterization of the sigmaE-dependent rpoEp3 promoter of Salmonella enterica serovar Typhimurium. Skrabana, R., Skrabanova, M., Csokova, N., Sevcik, J., Novak, j. Intrinsically disordered tau protein in Alzheimers tangles: a coincidence or a rule?. Skrabana, R., Sevcik, J., Novak, M.
Intrinsically disordered proteins in the neurodegenerative processes: formation of tau protein paired helical filaments and their analysis. Ugorcakova, J., Hlavaty, T., Babal, P., Janega, P., Bukovska, G., Halgasova, N., Hlavata, A., Timko, J., Duris, I.
Assay design and optimization of mutant-enriched PCR based method for detection of K-ras gene mutations in pancreatic carcinoma. Weinstock, G.M., The Honeybee Genome Sequencing Consortium (Members), :., Bilikova, K., Simuth, J. et al. Divergent evolutionary lines of fungal cytochrome c peroxidases belonging to the superfamily of bacterial, fungal and plant heme peroxidases.